WINCHENDON - Rita M. (Rocheleau) Elola, 83, of 404 Mellen Road, died peacefully Saturday morning, August 25, 2018 in UMASS Memorial Medical Center, University Campus, Worcester, with her family at her side. 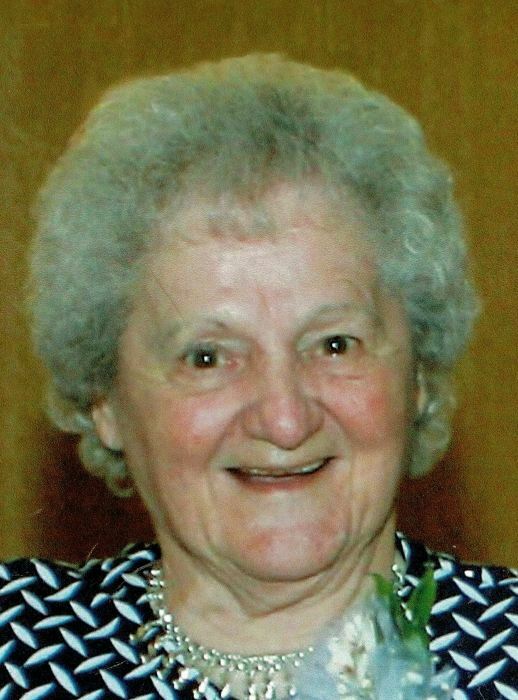 She was born in Winchendon on October 23, 1934, daughter of the late Maximin S. and Coranna M. (Hardy) Rocheleau and was a lifelong resident of Winchendon. Rita had worked for over thirty years as an assembler at New Hampshire Ball Bearings in Peterborough, NH until her retirement. She enjoyed baking and was an avid fan of the Boston Red Sox and New England Patriots. She also enjoyed word search puzzles and especially treasured time with her family and her cat Meiko. Rita was predeceased be her first husband, Kenneth Gauthier in 1959 and her second husband, Albert W. Elola in 2015. She leaves two daughters, Brenda Casper and her husband Jerry of Gardner and Donna Nolette and her husband Chris of Winchendon; four grandchildren, Jamie Tessitore, Ryan Casper, Kayla Nolette and Hannah Nolette; four great grandchildren, Jonathan Kelly, Rylie Casper, Taylor Tessitore and Mya Casper; two brothers, Maurice S. Rocheleau of Winchendon and George S. Rocheleau of Winchendon; three sisters, Anna M. Cormier of Leominster, Cecile R. May of Winchendon and Theresa A. Thurlow of Gardner and many nieces and nephews. She was predeceased by brothers, Roland J. Rocheleau, Joseph C. Rocheleau, Alfred F. Rocheleau and Arthur J. Rocheleau. A Mass of Christian Burial will be held Thursday, August 30, 2018 at 10 A.M. in Immaculate Heart of Mary Church, 52 Spruce Street. Burial will follow in Calvary Cemetery. Memorial donations may be made to St. Jude Children's Research Hospital, PO Box 1000 Dept 142, Memphis, TN 38101-9908. Stone-Ladeau Funeral Home, 343 Central Street, Winchendon is directing arrangements.